Before online dating some of us remember a time when we had blind dates. I, like some of you who dated before Match.com became popular, may remember a simpler time when we couldn’t Google every bit of information about a person and actually had to get to know them, the old fashioned way… By speaking with them. As I often tell people who have spent much of their adult lives on these services with no success, it seems a person we wouldn’t expect to like based on their profile, could sometimes be the best match of all. After going through all the form-filling of many online dating sites with their scores of questions and complicated computer algorithms which attempt to align Venus and Mars, it seems many just can’t find the right match. Although Peter could be right – part of his point was that downloading a fitness app is like joining a gym – it’s using the fitness app which becomes more challenging over time. FakeFollowers: What is your Net Twitter Following? Consider this service to be lumped in with other social tools like Klout which is used to measure social influence. I can already see the fights starting. “Hey, I have more Twitter followers than you.” “Oh yeah? Fred Wilson, managing partner at Union Square Ventures is one of the most well-respected VCs around and does an amazing job with his AVC blog – it is in many ways a blueprint to starting a company. He has had so many good posts over the years it is tough to count. In a recent interview with Technology Review he made some alarming comments which you should be aware of. Recently, on a trip to Silicon Valley to meet with execs and newsmakers I got a good sense of what tech business leaders were thinking. As you could expect “cautiously optimistic” was the tone but I sensed more optimism this year over last. 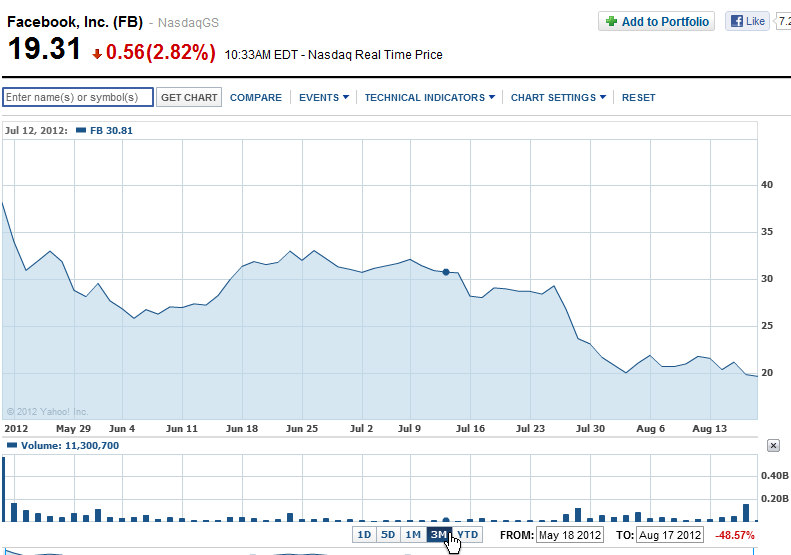 It certainly wasn’t euphoria and a few people even said they were glad Facebook had a crappy IPO. But I wonder if they expected the “crappy” IPO to have tuned into a stock which is setting new lows regularly.